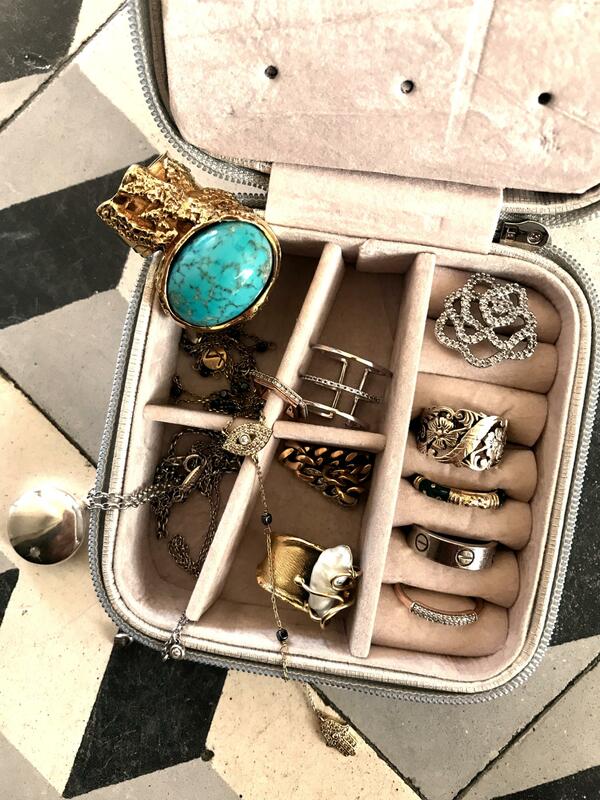 Whilst recently travelling this summer I realised that I had all the jewellery essentials I needed for every occasion within my mini jewellery box. I am not a fan of bringing lots and lots of things with me when I go on a trip. I also want to make sure that I do have everything I need...even when spontaneous events do come my way! 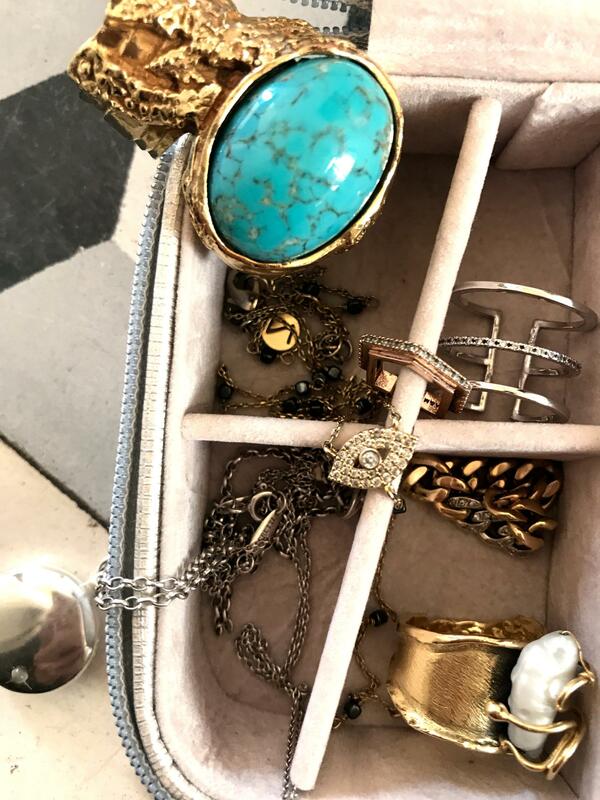 These 5 jewellery essential pieces mean I know that I have all the accessories that I need to really finish off any look. 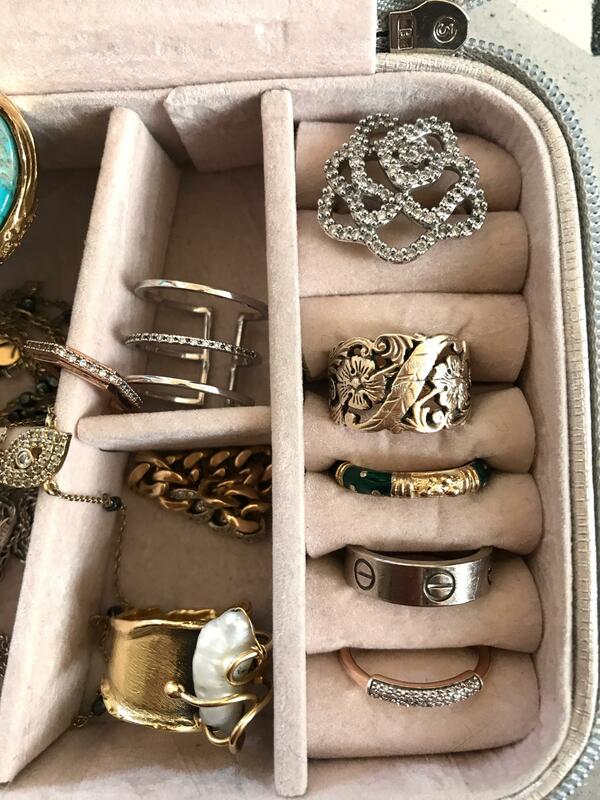 The cocktail ring for me is perhaps the jewellery essential that has the biggest impact and can completely alter an outfit. This is definitely not just for the cocktail party (because to be honest I don't know anyone who goes to those anymore!) but for any event/evening/day that you want to shine and to create an impact. The cocktail ring is also for those days you somehow end up in a bit of a boring outfit you know that the cocktail ring is there to help make your look exciting, impactful and fun. The ear cuff for me has become one of my absolute jewellery essentials in the past year for any event or occasion where I want to make sure I look cool, casual but chic without trying too hard. It fits perfectly for the edgy concert, random night out or that first date. It gives you a hint of edge, particularly when partnered up with a couple of other ear cuffs or earrings for a layered effect. The slim diamond ring says I didn't wait for anyone to buy this for me, I bought it myself... This is the everyday diamond ring that is stylish, simple and shiny without any of the fuss. The fine gold chain is again like many of these jewellery essentials; the perfect piece to layer amongst others. Even if you are just spending the day in bed, the gold chain somehow makes your pyjamas look put together. In day to day or a dinner out layered fine gold chains look chic and elegant in a bohemian way. Could not agree with these tips more! I love accessories & yours are absolutely amazing!! thank you Kritsida! that’s so nice!